Lenstore.co.uk offer Biofinity contact lenses including Biofinity, Biofinity Multifocal and Biofinity Toric from Cooper Vision. 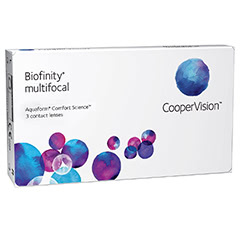 The brand features the patented Aquaform technology, which creates a lens that holds moisture within itself for long-lasting comfort, as well as excellent deliverance of oxygen to the eye. We understand how important all-day comfort from your Biofinity contact lenses is to you, and we put in a lot of work to ensure only the exact lenses that have been prescribed to you reach you. We care about eye care, and that’s why we have our own opticians in-house and source all of our products direct. 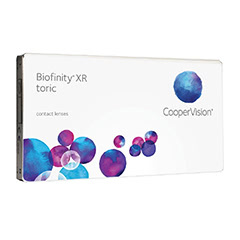 All of these credentials ensure that only the safest, 100% correct lenses for your vision reach you. 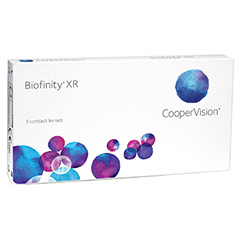 When you buy Biofinity contact lenses from us, we typically dispatch them within 1-2 working days, and as we ship by first class post, there’s no extended waiting period. 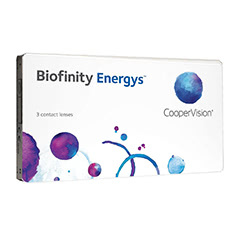 You can save up to £138.40 per year on your Biofinity contact lenses at Lenstore vs. the High street*. * Price comparison data obtained from Boots on 14/03/2013.